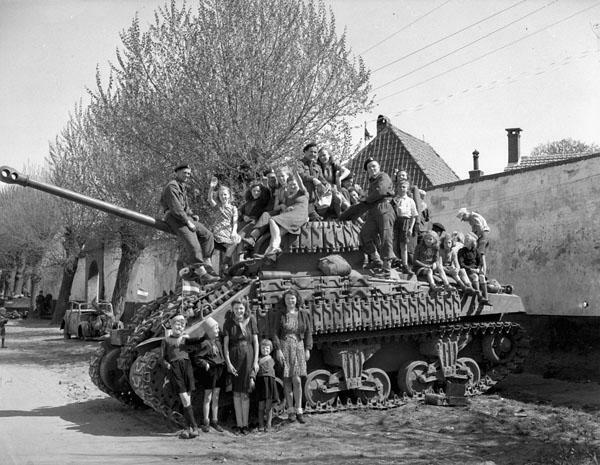 Dutch women and children sitting on a Sherman VC Firefly tank of Lord Strathcona’s Horse (Royal Canadians). Harderwijk, Netherlands, April 19th 1945. Photograph by Captain Jack H. Smith.